Sign up for the leading news service covering Canada's lobbying, government relations, advocacy and communications industries. 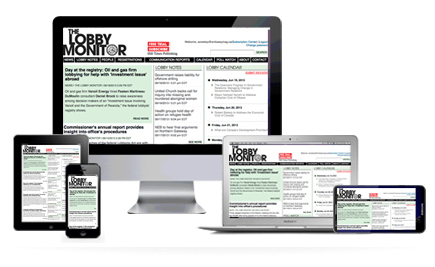 The headlines and names on this page are just a small sample of the in-depth breaking news and analysis available to The Lobby Monitor subscribers. Please close this window to log in.